Are you keen to make Malaysia your second home? Rikvin has published a new guide on ‘Malaysia My Second Home’, more popularly known as MM2H, a programme that allows qualified individuals from around the world to stay in Malaysia for the long-term. The MM2H initiative is open to individuals from recognized countries, regardless of race, religion, gender, or age. To be eligible for the programme, applicants must prove that they are financially capable of supporting themselves during their stay in Malaysia. As such, applicants must fulfil a minimum requirement for liquid assets and fixed monthly income derived from outside Malaysia. For retirees, monthly pensions that meet the prescribed minimum will suffice as proof of income. Dependents: Qualified individuals may bring their spouse and unmarried children under 21 years of age as dependents. Domestic worker: Participants of the programme can bring a domestic worker from their home country. 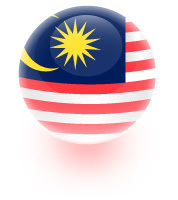 Home purchase: Under the scheme, foreigners can purchase any residential property in Malaysia. Car purchase: MM2H participants are exempt from paying excise duty and sales tax when purchasing new Malaysia-made vehicles. Access to quality education, business and investment opportunities, and other incentives. Interested in applying for long-term residency in Malaysia through the ‘Malaysia My Second Home’ programme? Contact Rikvin at info@rikvin.com for more information.